Greetings friends and fellow crafters, LeeAnn here and welcome to the A2Z Scrappbooking blog. 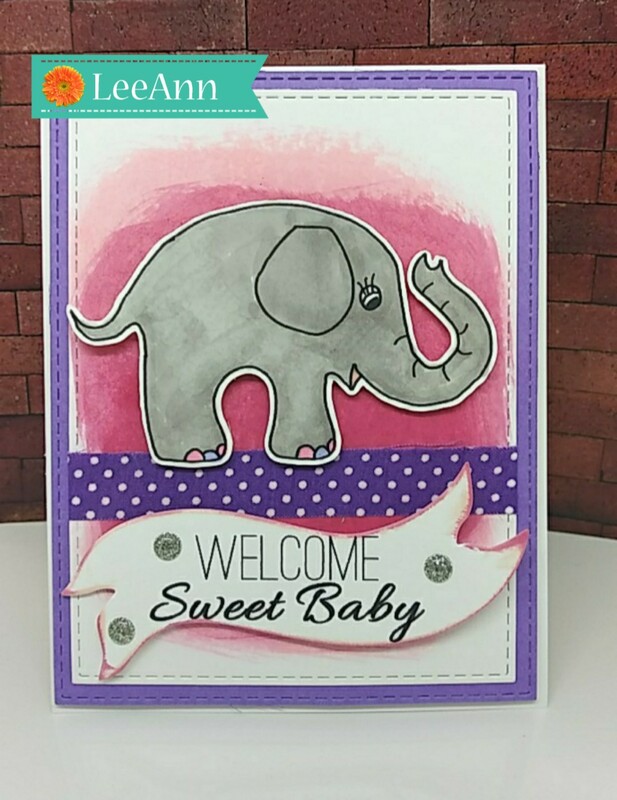 I'm here today with an adorable Welcome Baby card I made for a friend who had a baby back in February. I am finally meeting her for the first time in a week and am so excited. I have so many cards made (I make them all the time, but never send them). Anyway, on with the card... Using the adorable image from SugarTree Stamps Sweet Baby set I printed the image and sentiment, cut the image using my Scan N Cut and the sentiment with the Banner Die from the Hero Arts Ribbon Messages Stamp/Cut set. The a2z scrapbooking store carries a wide variety of Hero Arts products as well as a nice selection of digital stamps! Get discounted new releases, sales, grab bags & more. Proceeds from our store benefit Celiac & Behcets disease foundations. Use my discount code insert your code here to get 15% off your purchase of $25 or more. If you're looking for a Hero Arts product you don't see in store, use the Request Custom Order button from with-in the shop.